Meringues cookies are a classic recipe. Step up the classic cookie by making heart-shaped meringue cookies when you need a special treat. 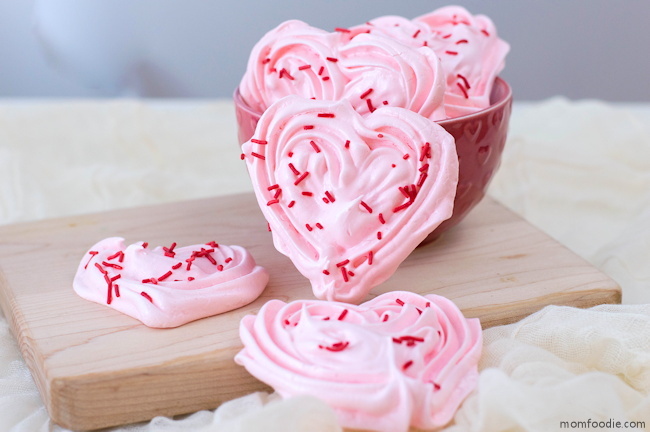 Try this Valentine Meringue Cookies from Mom Foodie. These cookies are gluten, diary and nut free. Making these perfect for classrooms that have restrictions on certain foods. Be sure to capture the hearts of your family and friends with this recipe!